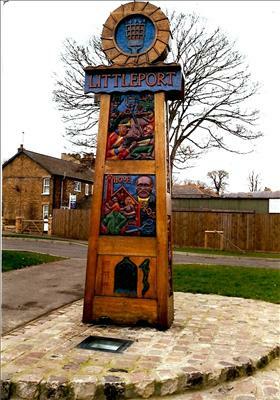 The new Town Sign for Littleport, Cambridgeshire. Commissioned by East Cambridgeshire District Council. Relief carved and painted oak panels in oak carcase. Financed by European Regional Development Fund and East of England Development Agency. Joinery assistance from David Woodnutt.